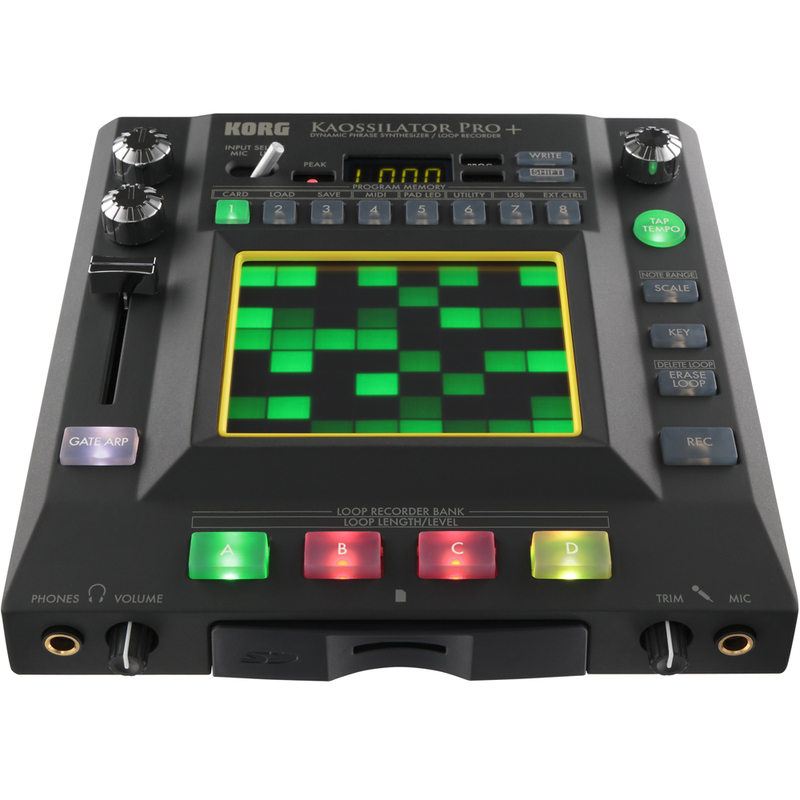 The Korg Kaossilator Pro+ unique interface allows you to play musical melodies and phrases with ease. 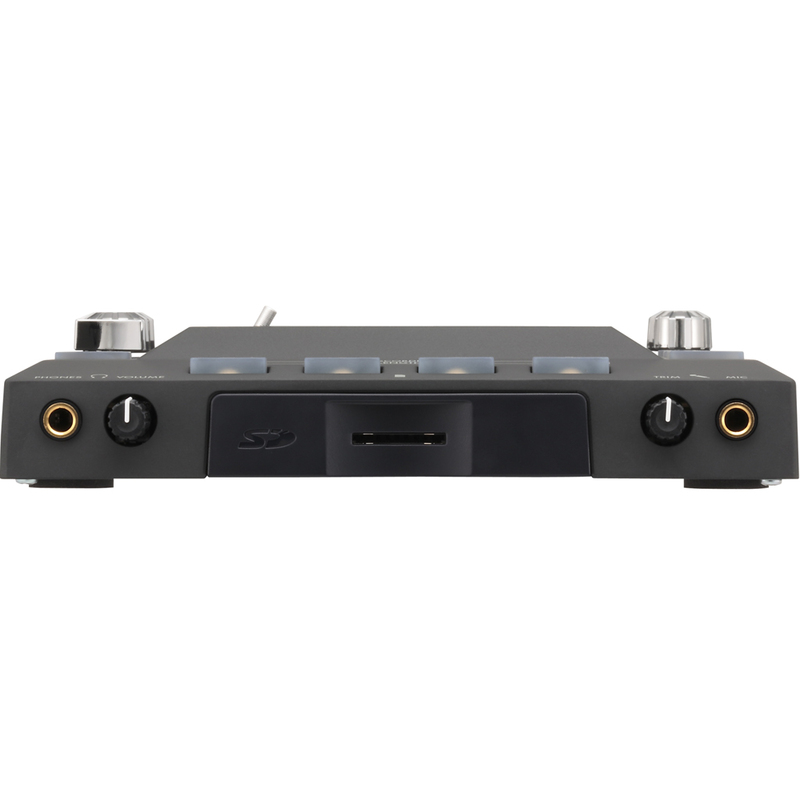 Simply stroke, tap or rub the touch pad to control the pitch, tone, filter cutoff, feedback and modulation depth. The touchpad's intuitive and flexible design means you can create a rich performance without using a conventional keyboard instrument. The Pro+ is packed with Korg's most cutting-edge synth sounds, plus 50 additional programs, bringing the total program count to 250! 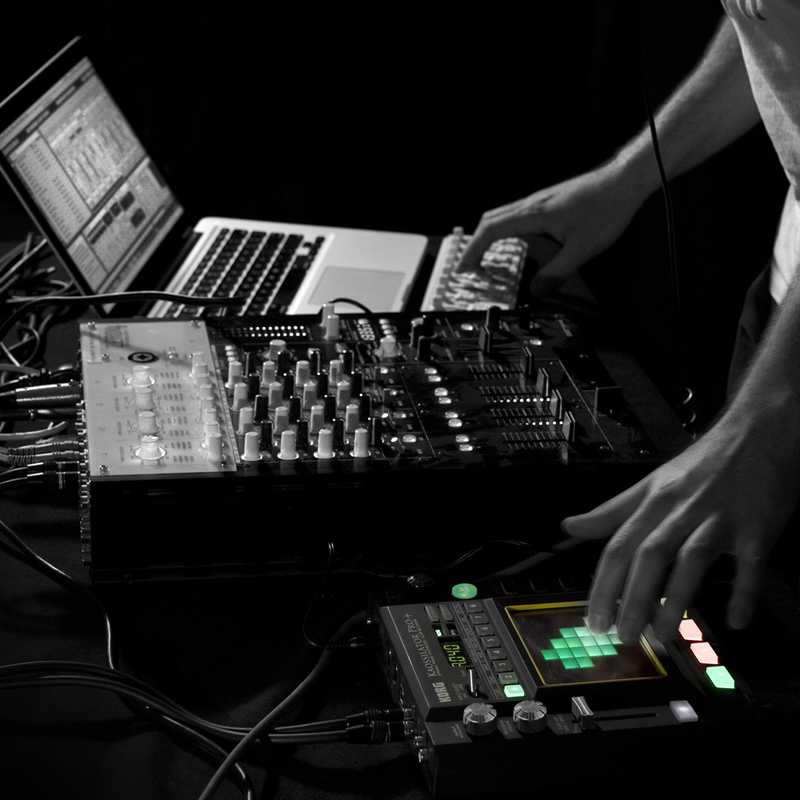 Over 60 sounds are drawn directly from current musical genres, including familiar and useful leads, synth basses and sound effects for DJ use. 26 drum sounds have been especially enhanced, with an updated drum PCM including sounds from the acclaimed Wavedrum percussion synth. 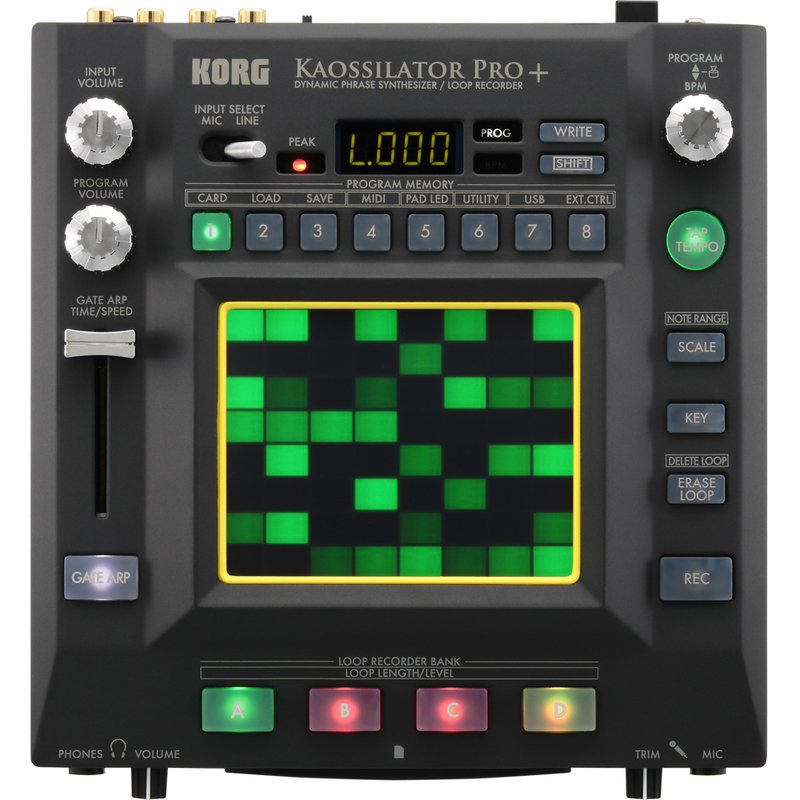 The Kaossilator Pro+ means you can perform countless styles- hip-hop, house, dubstep, electro and more... or create your own genre! You can set Loop Recording for up to 16 beats. Create amazing looped phrases by overdubbing additional sounds one at a time, letting your set range from minimal to fully orchestrated. Live performance is easy for anyone with the four loop banks able to be muted/unmuted, volume adjusted and the loop length changed. 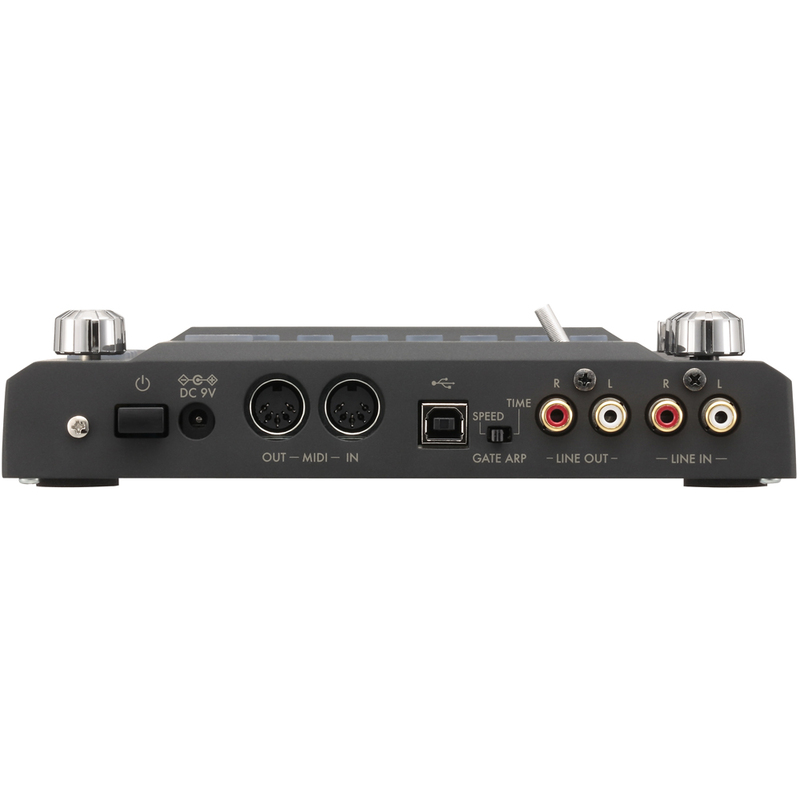 Line and Mic inputs allow for the recording of external audio sources, too, so you can experiment further by adding vocals or audio from an external device to any loop phrase created. 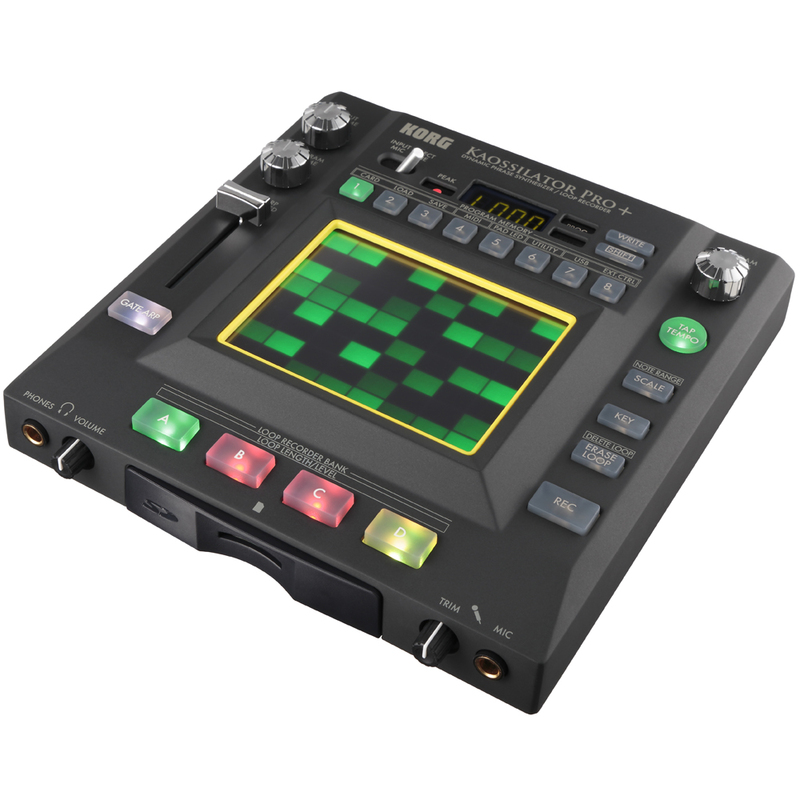 Creating musical performances is even easier with the Musical Scale, Key and Note Range of the Kaossilator Pro+. Even if you've never picked up an instrument before, the Key and Scale features will make sure the notes you play will match the song being performed. There are 35 scales to coose from, allowing you to play perfect solos without a single wrong note. Set the note range to narrow or wide depending on the accuracy required. The Gate Arpeggiator patterns built-in to the Kaossilator automatically generate phrases and beats by simply moving a finger across the touchpad.